"I strive to provide the highest vision care for the families in our community. I will maintain state of the art technology and continued education in my field which allows me to deliver my promise to you. Providing affordable and trendsetting designer eyewear is the hallmark of eyeTrade. I want you to LOVE your glasses!" Our Frames carry a two year warranty against all manufacturer's defects. We will either repair it or, if necessary, return the frame (with all returned parts) to be replaced. Our Rx lenses also have a two year warranty against scratches and manufacturer's defects with a one time lens replacement. *Exclusions are theft, loss and highly discounted package pricing. We have carefully chosen to partner with a lab that offers the very best advancements in lens design and quality workmanship. They keep us trained and equipped to be your "Authorized Digital Free-Form Lens Specialist". Our precise measuring system customizes your frame and lens choice to your eyes. Like fingerprints, no two eyes are exactly the same. The correction to restore and enhance one's vision should be equally unique. We feature "award-winning" customized progressive lens technology and we strive to keep your lenses as thin and light as possible. We bring innovations and craftsmanship based on your needs and wants, so you can see, and be seen-in, the latest trendsetting fashion frame. 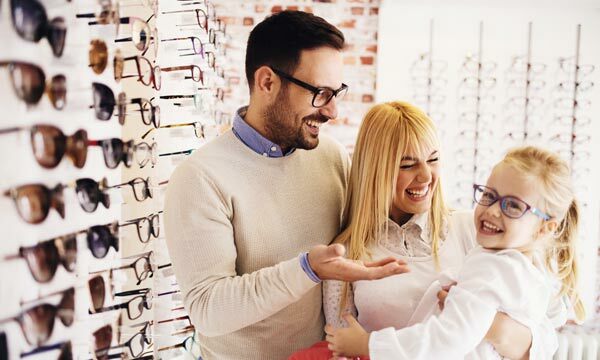 Luxury, Fashion, Style ... Our dispensary has 100's of frames to choose from. Our expert Optician-Fashion Consultants will help you find the perfect style, size, and color that best fits you. Everyone deserves to look fabulous! We will clean and adjust your glasses as often as needed at no charge. commitment to your satisfaction. We guarantee our workmanship!